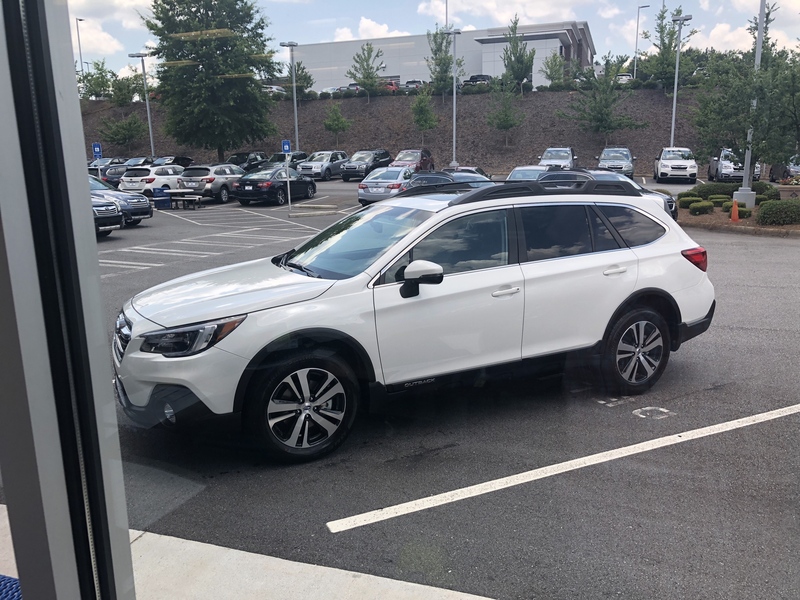 Started out as a stock 2018 3.6R Limited Outback. 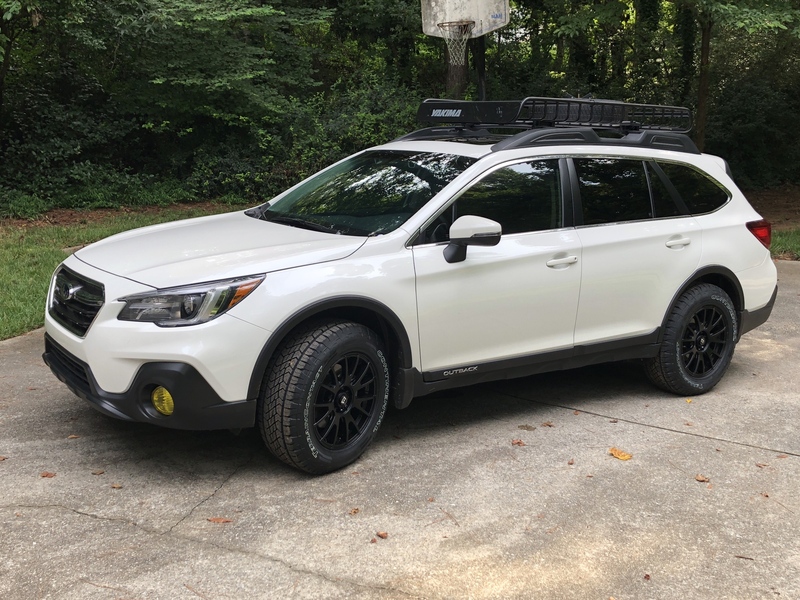 Currently sports: Yakima LoadWarrior with extension, Yakima spare tire mount, Lamin-X yellow fog films, 35% tint on front passenger and drivers side windows, 50% tint on back of car, 80% on windshield and sunroof. 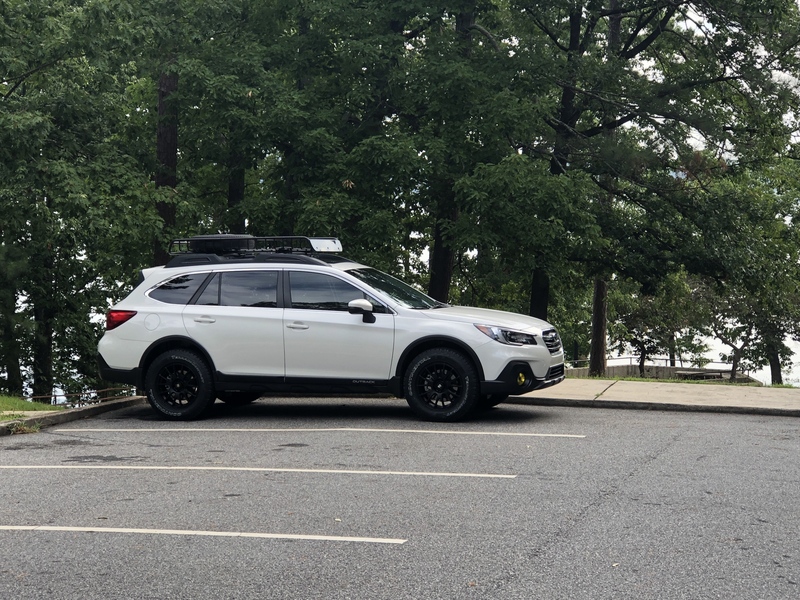 New wheels and tires installed. Motegi MR118 17x8et32 with Conti TerrainContacts 245/65/17. Experienced a tiny bit of rubbing on the inner fender well in the front, so it was trimmed a little to prevent it. Not a big deal, but I might as well not hear it. Also got the Ecohitch and trailer wiring harness installed. 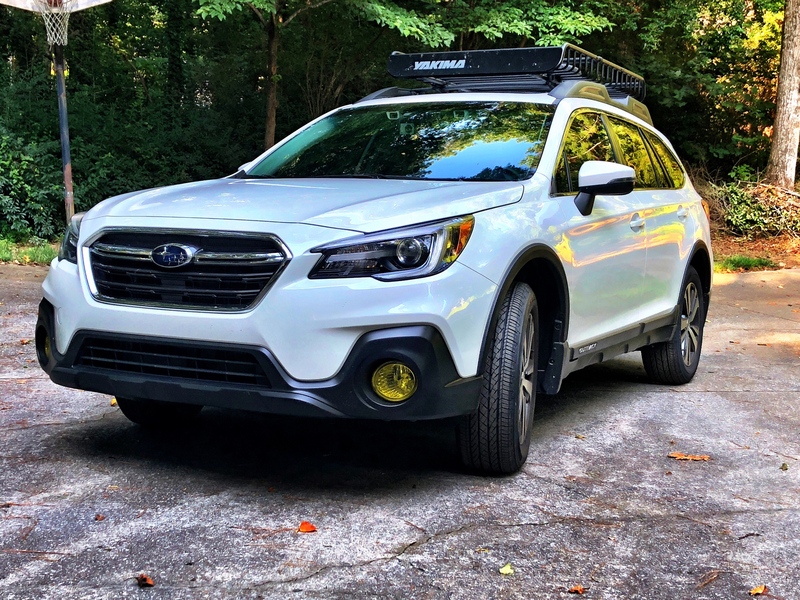 Shout out to @Discount Tire for the help in getting the wheels and tires picked out, ordered and shipped to me, and my local DT shop for a quick and easy install, as well as to AllPro Subaru for the hitch install. Torklift and vhercules like this. time to roll the fenders, like a classic drag racer with humongous tires. Haha, yeah, they definitely fill the wheel wells some. I guess many I've seen with this setup may already have a lift, so it's not as noticeable then. I like it though...ride feels good, not a ton of noise, and definitely a more capable tire than the Duelers. Your second photo really gives a good look at your new tire/wheel package. That should be a big improvement in traction, plus it looks amazing. 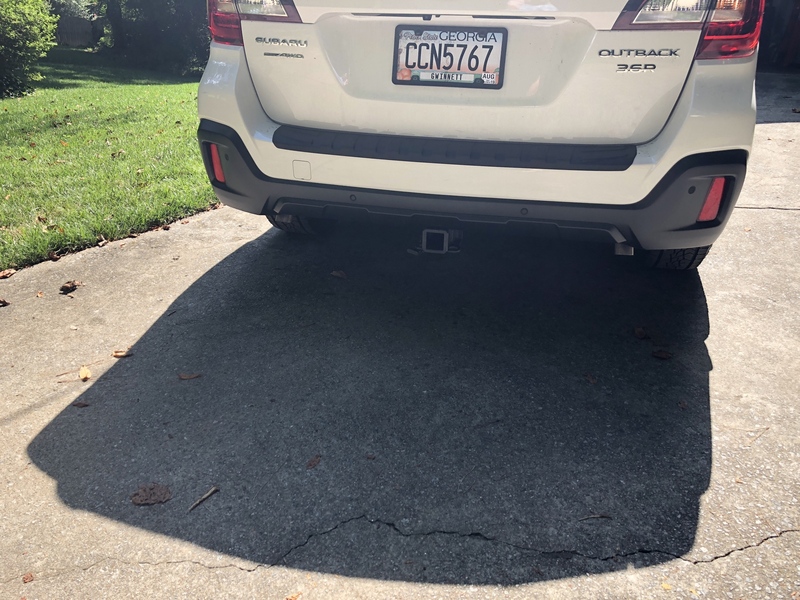 Car: 2003 Toyota Highlander 3.0 FWD, 2009 Outback XT Limited 5MT - R.I.P. I used to work for Discount Tire. One of the best companies out there. Currently do business with Les Schwab, but only because they give me a 30% discount through my employer; can't beat that. Discount Tire and martin_j001 like this. Cheap is expensive and expensive is cheap. Thank you for your previous service, Old Chub! Any time! One of my favorite occupations I've had, and a great company to work for. Really appreciated working with a great team and my manager always made sure he had my best interest at heart. Just a small shout-out to TXS 21! Thank you for your kind words. I agree, working for Discount Tire is Unbelievable. They take care of their people and customers with a genuine care about doing the right thing.